The date 8/4/1971 is very important for cycling in our city. This is the date when the cycling club of Patras came into existence, based on the idea of Evangelos Diamantopoulos, trainer of E.A.P. 	1st place in 100km team trial with Vithoulka Dionisi, Diamantopoulo Vasili, Moschopoulo Panagioti and Stavriano Konstantino. 	1st place in 50km time trial with Moschopoulos Panagiotis. 	1st place in 150km road race with Diamantopoulos Vasilis. Apart from the sporting activities, the cycling club of Patras was among those who played major role in the foundation of the Hellenic Cycling Federation, in 1973 together with A.O. Pagratio, A.O. Paradisou and Irakli Mouseiou. Till then cyclism was part of S.E.G.A.S. On the 19/6/1974 Kanellos Kanellopoulos becomes a member of cycling club Patras and he is meant to be a landmark in the history of green cyclism. 	500 participations with the national team. 	15 greek championships and 3 greek records. 	Great results in cycling tours in Greece and abroad. 	16 medals in Valcan games. 	2 world records with “Dedalos”. In 1978 the cycling club of Patras is organizing, for the first time, a race called “Thisias”. Through the years this race turned into a tour of 3 or 4 etaps with internationalparticipation. Our club also created remarkable trainers, such as Nikos Argiropoulos, Petros Bakopoulos and Loukas Katapodis. 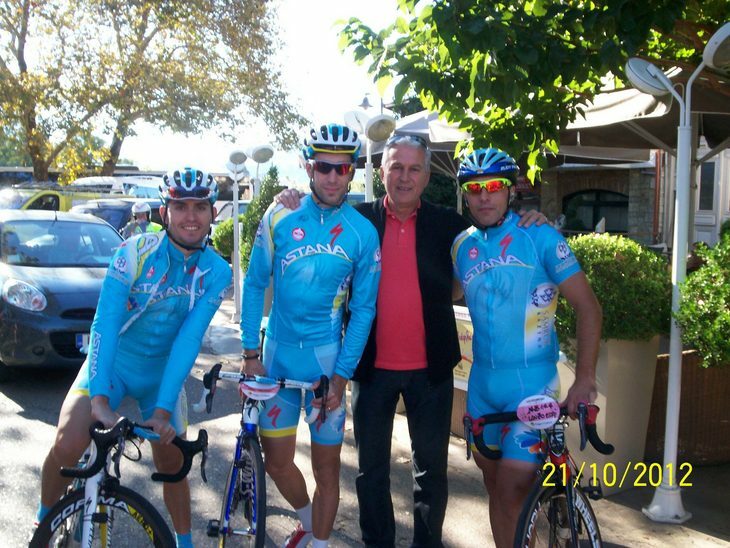 After 1980 always at least 3 or 4 athletes of cycling club of Patras are participating in the national team of all categories. In 1992 Anastasopoulos Vasilis came to our club as a trainer from a team in Megalopoli. He is not only the one of the best athlete in Greece, but also the first Greek cyclist that signed as a professional in Volksbank Ideal Team in Austria. Patras is welcoming the 4th Olympic Winner of Sidney, Labro Vasilopoulo, who is being accompanied by athletes of the club. In 1994 another important transfer took place. Labros Vasilopoulos came to our club from Doxa Patras. His accomplishments are many, but the most important one is the 4th place in the Olympic Games of Sydney 2000. The cycling club of Patras, apart from the participations in races, always cooperates with local authorities and organizations, in order to organize events. 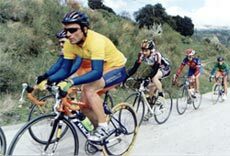 On the 24/3/98 made a fraternization with the cycling club Agrotis from Cyprus. In 1999 our club managed in cooperation with the minister of Sports to create the cycling department in the Sports high school of our city. The main goal of our club is to create a cycling track in Patras, something that is already on the way. Unfortunately, even though there was the appropriate place in Patras before the Olympic games of 2004, a track was built in Trikala. 2002 was the year when the cycling Academy was founded. This is a project where two trainers are working with kids in order to make them familiar with cyclism and also find new talented kids. 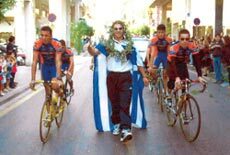 2003 is also a very important year with a lot of success and at the end of the year, the Cycling Club of Patras is the champion. On the 1/11/2004 our club was rewarded for all its offering in sports. And in cooperation with Michelen organized Juniors Bike, a race for kids between 2-15 years old. In the same year, one athlete from our club, Labros Vasilopoulos, participated in the Olympic Games Athens 2004 in Team Sprint (track) together with Giorgos Chimonetos and Dimitris Georgoulis. They took the 8th place. Labros Vasilopoulos also participated in an individual race, Kerin, where he had an accident, while his qualification for the finals was sure. 2005 was a very productive year. Our athletes won in total 10 gold, 4 silver, 11 bronze in the national championship and 1 gold, 4 silver and 1 bronze in Balkan championship. 	Gold metal in team sprint (track) with L. Vasilopoulo, P. Voukelato and Ch. Tserentzoulia . 	Gold metal in couple women race with A. Pastourmatzi and K. Polichronopoulou. 	National and Balkan record in 3000m individual Poursuit (track) with A. Pastourmatzi (3’.58’’.200). 16-18/5/2006 organizes in collaboration with the University of Patras the 5th National Student Championship with great success. In 2007 our club participated in Patras Kid’s Carnival. Athletes and other people from the club were riding bicycles with carnival figures during the parade. In Mai of the same year, in collaboration with Fanta organized the charity event FANTA – MERIMNA in the central square of Patras with great success. More than 1000 citizens of Patras participated (age between 5 and 95). Next year the charity took place again with the participation of 1400 people this time. In 2008 in the Olympic Games of Pekino, Panagiotis Voukelatos represented our town with the National Team Cycling and took the 10th place. In 2009 the charity event continues by the slogan “Lets go for a ride for the children of Patras” with the cooperation of Fanta, Patras Municipality and ONAP, the participation once more touches 1500 people of every age. The year of 2010 in cooperation with the University of Patras and Municipalities Patras and Naupaktou, we organize events with massive and racing character by the name “ The Bridge Unite us”, target of that racing ride from University to square Georgiou is the connection between the University and the city by cycling track, servicing the students and not only. 2011 in cooperation with PICK PATRAS we participate in the successful Racing event KART, with a high level cycling race , giving the faculty to thousand viewer to compare and admire the automoto athletics with human muscle strength and now ecological mean of transport. 2012 we organized all the important races like, the 35th Cycling Round “THISIAS”, the events “The Bridge unite us”, the sirqoui of the city with PICK PATRAS, other association races, the local street Championship Peloponnisou and West Greece. We participated the ecomobility week from 17 to 23 of September, after the invitation of the Deputy Mayor of Volunteering. 2012 after the proposal of Italic tourist Office, we organized cycling rides to Olympia and Kerkira, for the first time , for tourists who came to our country by cruise ship at Katakolo. 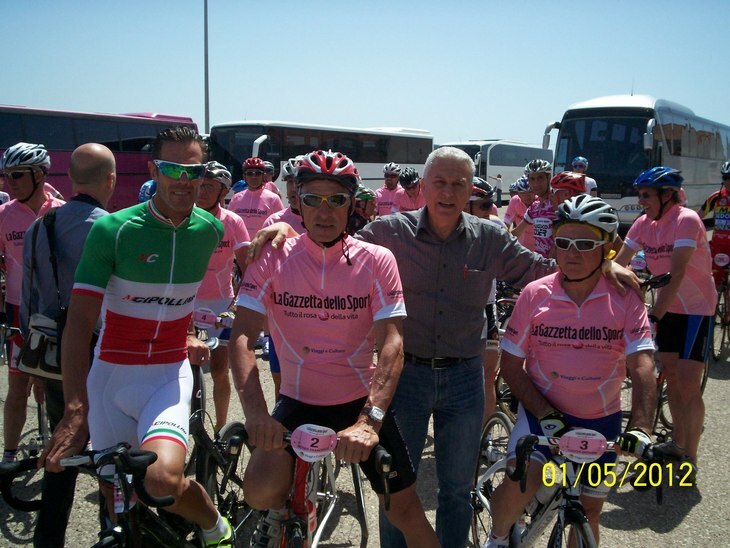 In this ride participated Francesco Moser and Mario Cipollini, and many other veteran cyclists. In 2013 for second time in a row, again with the cooperation of Italic tourist office we organized a cycling ride from Katakolo, where the cruise ship arrived, to Ancient Olympia. The participation was large (120 athletes), with athletes in action from ASTANA, and the winner of Italy and France Round Vincenzo Nibali among other.